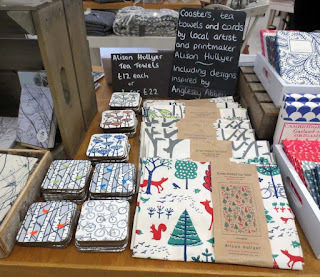 The National Trust shop at Anglesey Abbey has now been stocking my tea towels, coasters and cards for 16 months. The best selling coaster by a mile is one of Lode Mill. 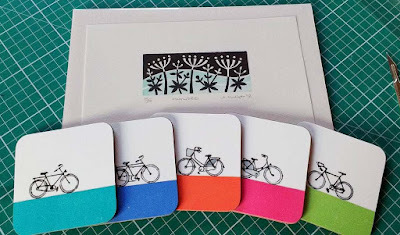 So I decided to have the print made into cards. They arrived yesterday and look great. 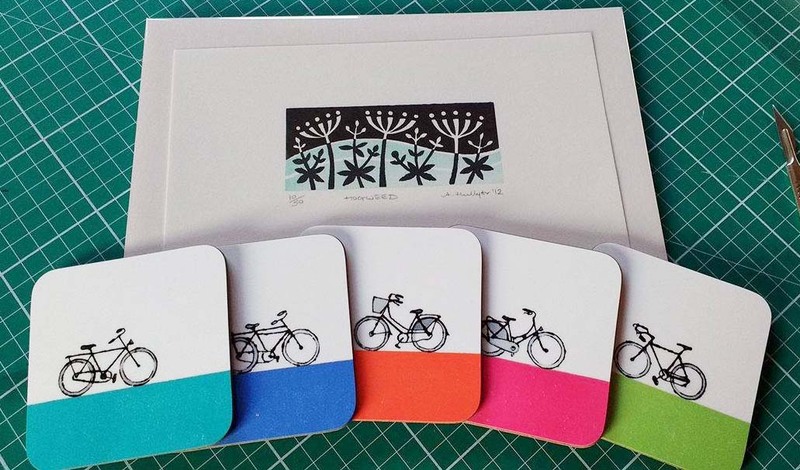 Hopefully they'll be in the shop at Anglesey Abbey next week and prove to be just as popular as the coasters. Another year has passed. As a new year starts it's been fun to look back over the work I've done in 2016. It's been a bumper year for prints, with 18 new pieces produced, mostly spurred on by taking part in the 2nd Cambridge Original Printmakers exhibition in September. There were also events I've been part of for many years such, as Cambridge Open Studios and it was my 3rd year at Ely Cathedral Christmas Fair. 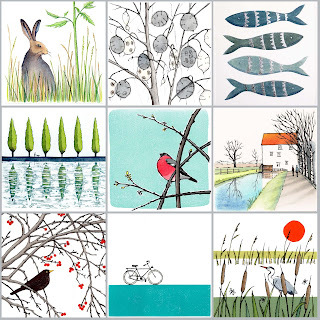 Two new events were Histon Handmade and the Cambridge Etsy Handmade Fair. All achieved record sales figures. 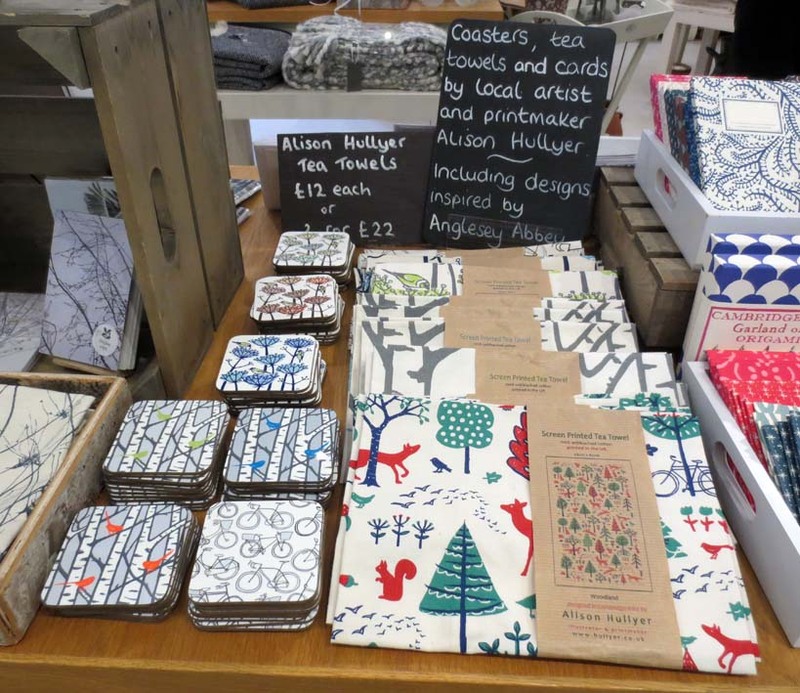 I'm also pleased to be supplying ever increasing amounts of stock to my two local National Trust shops at Anglesey Abbey and Wicken Fen. 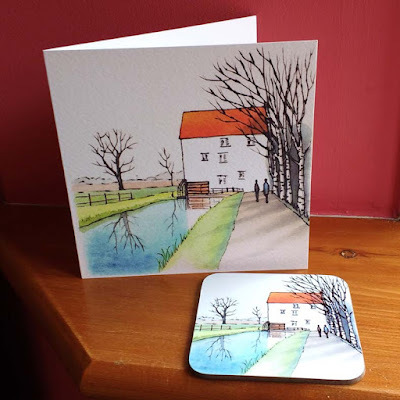 I'm currently working on new Spring themed coasters and a new design for Houghton Mill. I've signed up for Open Studios again in July, which will be my 22nd consecutive year. Both my Etsy shop and website continue to receive orders and already this week I have posted two parcels. I've also been thinking about holidays and we're planning a week walking in the Lake District which is always good for recharging ones batteries and also an exciting trip to Malta, Greece and Albania...watch this space.